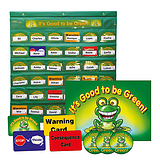 The suggested use for these Certificards is to use them with our Good to be Green Behaviour Schemes, after receiving the Good to be Green Card, if a low level disturbance occurs, you could use a 'STOP 'n' Think Card. If the disruption continues they could then receive the Yellow Warning Card, before finally receiving the Red Consequence Card. Each Certificard is 86mm x 54mm in size. 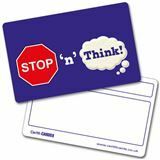 Perfect for teachers to give to their students as a little reminder to Stop 'n' Think! 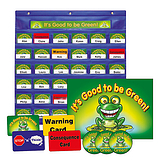 These Certificards are the same size and shape as a Bank Card so they are perfect for little hands.